This coming Tuesday, April 16th, US Congressman Larry Bucshon will be coming to Dubois County to personally host office hours. 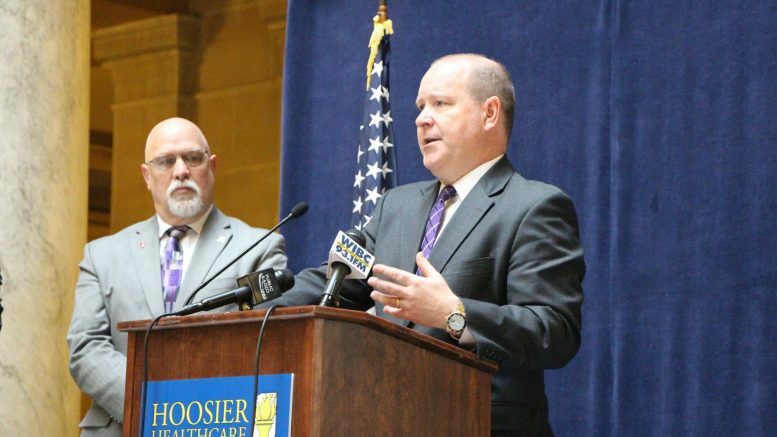 Buschon says he looks forward to this opportunity to hear about the important issues impacting the residents of Indiana about how he can best represent those needs in Washington. There are a limited number of appointments available so please reach out as soon as you can to ensure your spot is reserved. Appointments will be scheduled in 15-minute increments on a first come, first served basis and can be arranged by emailing scheduling.bucshon@mail.house.gov or calling my office at 202-225-4636. If all the meeting times have been filled by the time you respond, I will alert you the next time I host a round of office hours in your county. As a reminder, the Eighth Congressional District Office Policy prohibits all filming, photography, and recording during office hour meetings, unless prior authorization has been granted. 1 Comment on "Larry Bucshon To Make His Way To Jasper Next Week"
Welcome to Jasper. Hope you are treated well. Thank you for representing us.